Welcome to a new installment of DIRECTORIAL DEBUTS, where we look at some of the best, most interesting, and iconic directors and the films that started their careers. This week we take a look at the debut of the very divisive filmmaker Zack Snyder with this review of . . . DAWN OF THE DEAD (2004)! 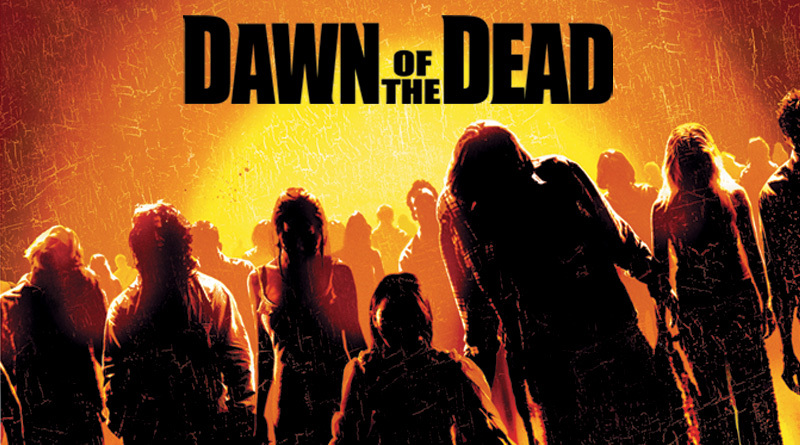 Dawn of the Dead (2004) is a remake of a 1978 film of the same name by legendary director George A. Romero. This film marked the feature film debut of now famous director Zack Snyder and came out on the front side of the zombie craze that took over the world for several years in the mid-to-late 00s. In the movie, we see a group of survivors from a zombie virus outbreak living in a mall and trying to figure out what to do about their situation. The film stars Sarah Polley, Ving Rhames, Jake Weber, Mekhi Phifer, Ty Burrell, and Michael Kelly. I was not incredibly taken by this film. It certainly isn’t bad by any stretch of the imagination, but it failed to engage me on any kind of substantial level. To comment briefly on my background, I’m not a zombie fan. Very few zombie films have actually risen to the level of greats in the horror genre for me, including the beloved original Dawn of the Dead. In that way, it is not terribly surprising that I reacted the way I did to this film, however I also thought that the film didn’t really strive to do the sort of thing that would elevate it for me. On the positive side of things, however, I think that this film is well written with interesting characters. Guardians of the Galaxy director James Gunn was the screenwriter on this film and his sensibilities do show through with respect to the characters in this film. I really enjoyed seeing that because it gave me some investment and interest in the story. Further, I think that Zack Snyder elevated what he had to work with. Despite this having a sizeable budget ($26 million), it looks like the production quality was shoddy at best. The way Snyder, in conjunction with his cinematographer, captured the events of this film really lessened the significance of that in a positive way. You can also see some of the early features that would define the highly stylized production of his future directorial efforts here which is always interesting to see in a directorial debut. His music selections were also very well done in this, as they are in all of his films that I have seen to date. I think the biggest stumbling block for this film, and it’s true of all zombie films (except for maybe Shaun of the Dead and I am Legend), is that it doesn’t have a compelling villainous force. Zombies just aren’t very cool. They walk around, make weird noises, and try to eat people. They have no real “motivation” and, if we can describe what they do as “motivated,” all they are are basic functioning things. It’s just not compelling. Without a compelling villain, this film does a lot of heavy lifting to try and get the characters and their struggle to be sufficiently interesting. In some ways, it succeeds. In others, it does not. I think the fact that this film did not succeed and creating fully interesting character drama throughout the ENTIRE film is why it really came off as bland as a whole. Finally, I think the cheap look of this movie really detracted from its fundamental quality. Honestly, this looks like a long episode of a modern TV show. Of course that speaks to how far TV has come, but this film had a substantially bigger budget than any episode of a show like The Walking Dead, yet it looked no better from a production perspective. That’s a serious problem and it makes it hard to get invested in the story because it doesn’t quite look real. Overall, Zack Snyder’s directorial debut is a success, but only a marginal one. He and writer James Gunn do great work behind the scenes to make this film worth watching (and, frankly, worthwhile as a remake). It is definitely a film you could add to a horror watch marathon for a little bit of zombie flavor. I don’t think it stands particularly well as a cinematic work, however.